I had a sudden urge last night to head outdoors and photograph some wildlife. Unfortunately for me it was almost midnight which normally makes that particular activity a little difficult. Not one to let total darkness defeat me however, I donned a head-torch and stepped out into the garden to see what was about. After only a few minutes I was simply bowled over by the sheer variety and quantity of life that I could see. Woodlice, Slugs and Snails covered virtually every surface whilst Earwigs, Millipedes and numerous other unidentified insects provided the supporting cast. As the UK is currently home to more than thirty species of Slug they seemed like a good set of species to focus on, and I duly set about finding and photographing as many as I could. 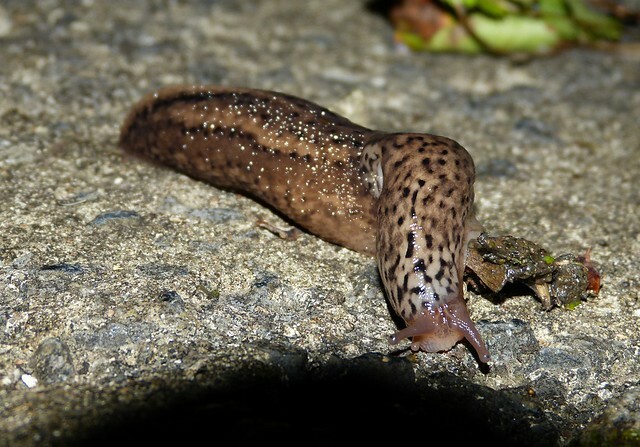 The beauty above is a Leopard Slug, or Limax maximus for all those Latin lovers out there. The reasoning behind its name should be evident and at up to twenty centimetres in length it is one of the largest species you are likely to encounter in this country. It is almost always found close to human habitation which makes lawns, gardens and cellars very fruitful places to look for them. 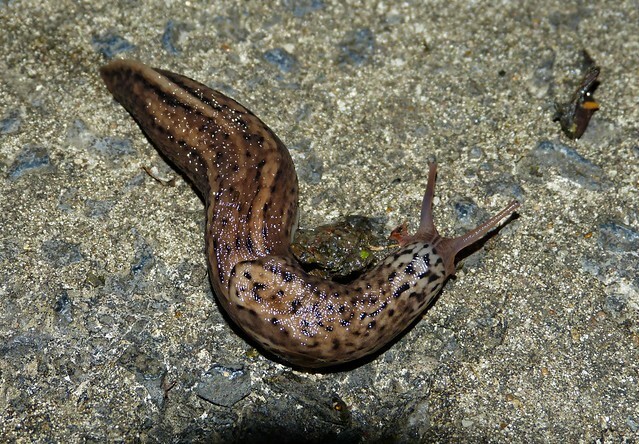 Their food typically consists of dead plants and fungi, but the Leopard Slug does have carnivorous tendencies and will chase down other slug species at its top speed of six inches per minute. Interestingly they have a strong homing sense and will often return to the same crack or crevice after each foraging exercise. The second species I was able to photograph turned out to be a Black Slug, or Arion ater. Rather confusingly this individual is a red form of the species in a colour range that can stretch from jet black right through to being completely white. 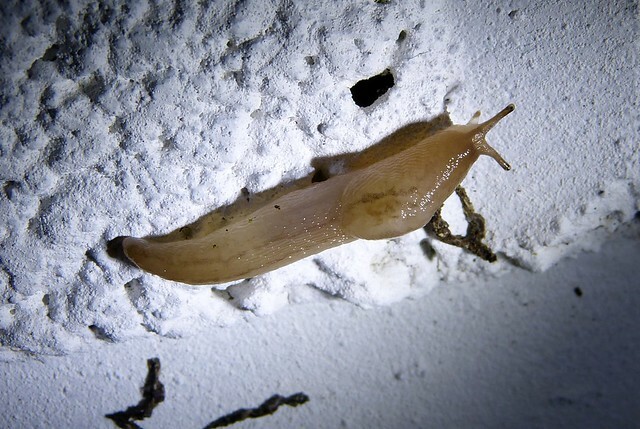 I also took photos of several other Slugs but have yet to nail them down to an exact species. One in particular is quite puzzling as at the time I thought it's distinctive back markings would have made it fairly unique. However I haven't been able to find anything remotely similar online, so if anyone has any ideas please let me know in the comments below. Now I know choosing Slugs as a subject matter may seem slightly strange given their bad reputation, but I can honestly say that they were enthralling to watch. In fact I must be one of the few home owners out there to actively encourage their presence with the provision of rotting piles of wood and purpose built hiding places. Yes I may lose the odd plant but they certainly provide an interesting diversion when you are at a loose end late at night. Certainly been ideal weather for these beings. Slugs do come in a remarkable variety of colours and some are quite large, but not my favorites because of the damage they do to plants. One of the big differences we notice over here is that we can grow Hostas! That is they grow without being devoured by slugs and snails overnight, which is what always happened until we gave up trying many years ago. The snails we see here tend to be the less robust-looking lipped (e.g. Brown Lipped) variety. I have noticed quite a few green and yellow ones ... though I recall seeing pink ones on the reserve at Oxwich. Those slugs are fascinating ... I love it when our attention is drawn to something we might otherwise overlook! Fantastic shots! The detail is excellent! 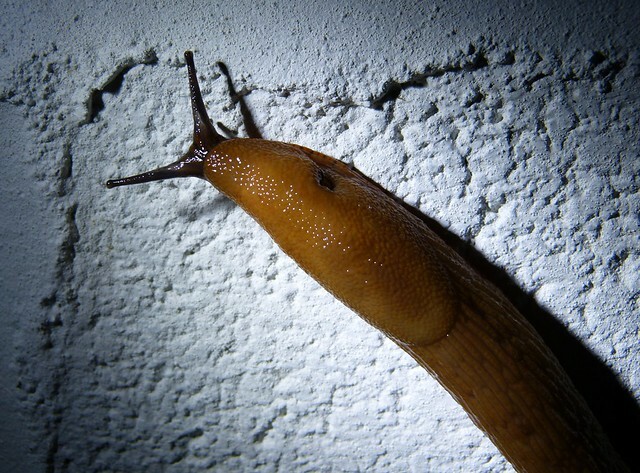 I haven't seen a slug of any kind in a very long time. 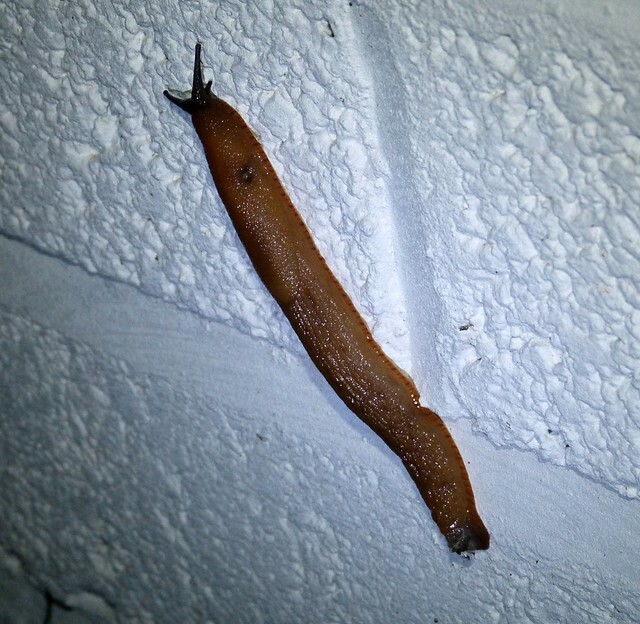 A kindred spirit who sees the beauty in slugs. I publish a similar blog Love the Wild at coolchameleon.blogspot.com and I'm a big fan of bugs.